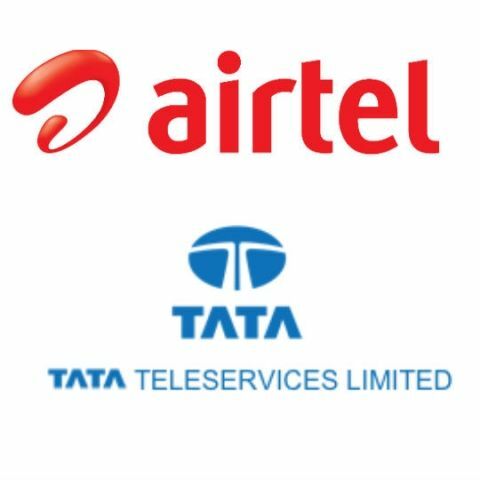 Bharti Airtel and Tata on Thursday announced that they have entered into an understanding to merge Consumer Mobile Businesses (CMB) of Tata Teleservices Limited (TTSL) and Tata Teleservices Maharashtra Limited (TTML) into Bharti Airtel. The acquisition is subject to requisite regulatory approvals, the statement said without revealing the acquisition amount. The merger is being done on a debt-free cash-free basis, except for Bharti Airtel assuming a small portion of the unpaid spectrum liability of Tata's towards DoT, which is to be paid on deferred basis, the joint-statement added. As part of the agreement, Bharti Airtel will absorb Consumer Mobile Businesses (CMB) of TTSL and TTML across the country in 19 circles (17 under TTSL and two under TTML). "This is a significant development towards further consolidation in the Indian mobile industry and reinforces our commitment to lead India's digital revolution by offering world-class and affordable telecom services through a robust technology and solid spectrum portfolio," said Bharti Airtel Chairman Sunil Bharti Mittal. "On completion, the proposed acquisition will undergo seamless integration, both on the customer as well as the network side, and further strengthen our market position in several key circles. The customers of Tata will be able to enjoy India's widest and fastest voice & data network, and bouquet of Airtel's best-in-class products and services," he said. "The acquisition of additional spectrum made an attractive business proposition. It will further strengthen our already solid portfolio and create substantial long term value for our shareholders given the significant synergies," Mittal added. The Bharti Board, which met on Thursday afternoon, has approved this transaction. The Boards of Tata Sons, TTSL and TTML, too, have given their approval. According to earlier reports, TTSL has seen its net worth fall by over Rs 11,600 crore in FY17, and losses increase from Rs 2,409 crore to Rs 4,617 crore year-on-year. Revenues, meanwhile were down 10 per cent to under Rs 10,000 crore. According to sources, Tata Sons is saddled with over Rs.66,500 Crore of debt and liabilities as a result of Tata Teleservices merger with Bharti. Industry sources said out of this merger deal, Bharti Airtel got over 40 million customers with high churn rate and over 5,000 employees. Sources said TTSL owes the Department of Telecommunications (DoT) over Rs.10,140 crore of deferred spectrum payments and also has regulatory contingent liabilities to an estimated tune of around Rs 10,900 crore. "It has bank guarantees of Rs 3,700 crore submitted with DoT. It is beset with a liability of Rs 7,200 Crore which is to be paid to NTT Docomo as arbitration award for the latter's 21.6 per cent stake in Tata Teleservices. NTT Docomo had exercised option on its stake owing to the non-compliance with agreed operational and financial milestones," sources said. However, N Chandrasekaran, Chairman, Tata Sons said it was a most optimal solution. "We believe today's agreement is the best and most optimal solution for the Tata Group and its stakeholders. Finding the right home for our longstanding customers and our employees has been the priority for us. We have evaluated multiple options and are pleased to have this agreement with Bharti," Chandrasekaran said in the joint statement. Goldman Sachs (India) Securities Private Limited is financial advisor to Tata. The transaction will also provide Bharti Airtel with an indefeasible right to use (IRU) part of the existing fibre network of Tata. Tata is also in initial stages of exploring combination of its Enterprise Business with Tata Communications and its Retail Fixed Line and Broadband business with Tata Sky. Any such transaction will be subject to respective boards and other requisite approvals, the statement added. Tata will retain its stake in Viom, and will take care of the liabilities associated with it. The proposed merger will include transfer of all the customers and assets of Tata CMB to Bharti Airtel, further augmenting Bharti Airtel's overall customer base and network. It will also enable Bharti Airtel to add 178.5 MHz spectrum (of which 71.3 MHz is liberalised) in the 850, 1800 and 2100 MHz bands. "This merger is pretty much in line with industry expectations. According to speculations, TTSL either needed to exit the industry or being merged with another entity. It is a win-win deal for both," Rajan S Mathews, Director General, Cellular Operators' Association of India (COAI), told IANS. Bharti Airtel will get additional 40 million customers out of this deal. "This deal will bring in more stability for Airtel. It will gain additional customers and also spectrum," he added. Mathews indicated that with this deal three big telecom players have emerged in the industry -- Airtel-TTSL, Vodafone-Idea and Reliance Jio. "While the fate of employees is not clear, the consideration that manpower planning will be done based on business lines is good. Tata Group has the appetite to absorb some employees in Tata Communication, Tata Sky and their other operating companies too. And possibly, they will enable the rest to move to other opportunities," said Amresh Nandan, Research Director, Gartner. which best dual sim mobile in present market? Why Blackbeery has weakest market place as compare to the other phone market place?